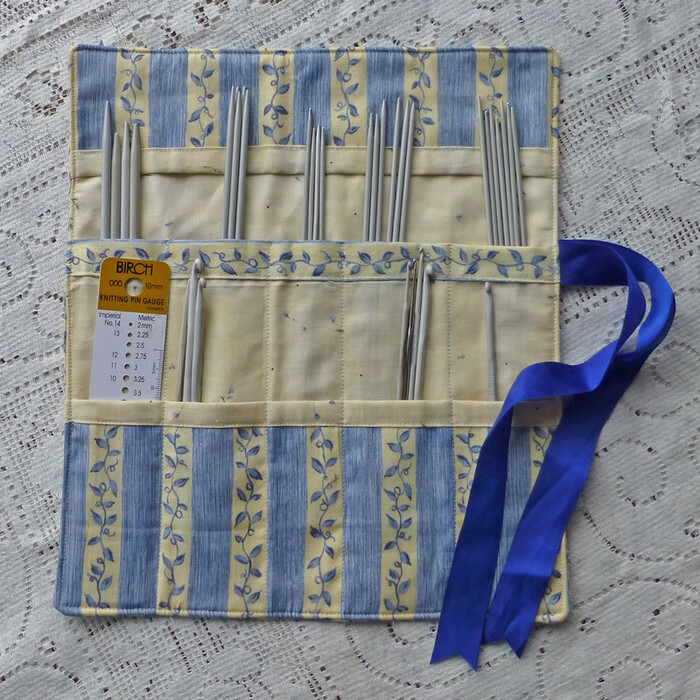 This needle roll is designed for crochet hooks and sock (sets of 4) needles. 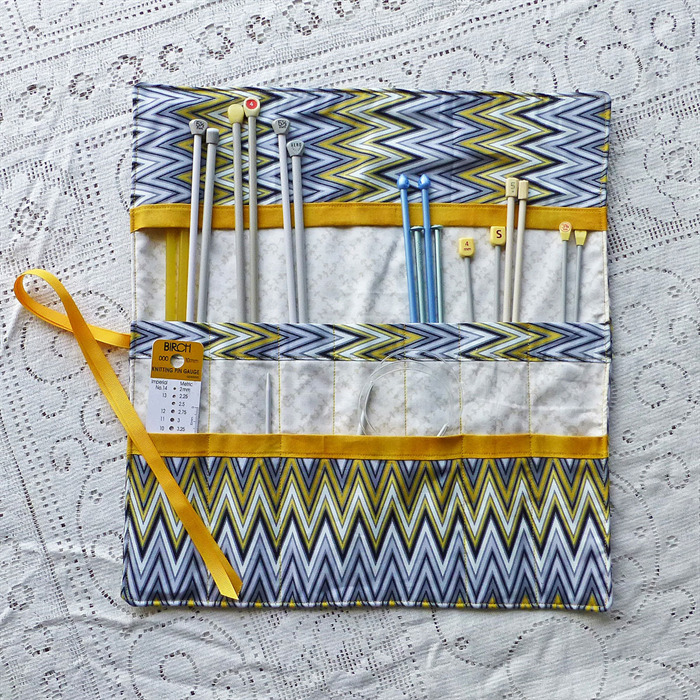 Keep them neatly together in this needle pouch. 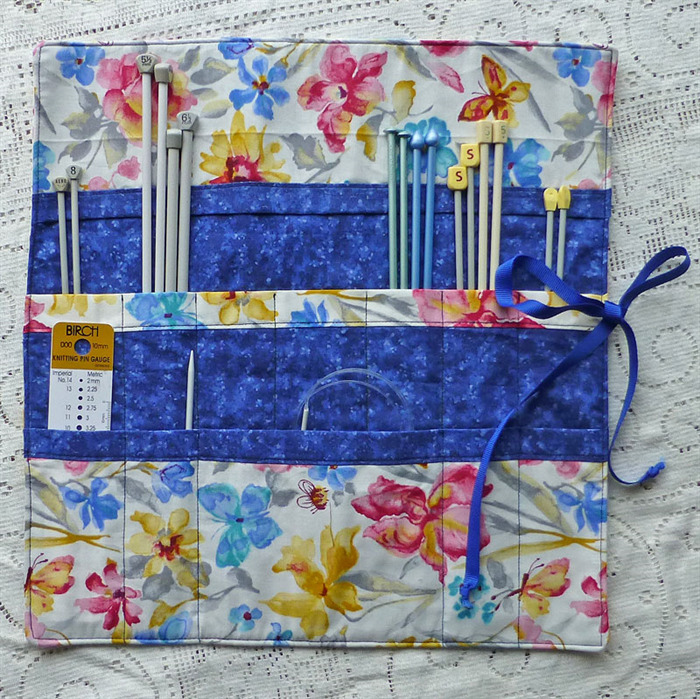 The roll has 2 sections, one for medium length needles and the other for crochet hooks, needle gauge and tape measure. Both sections are divided into narrow pockets for each needle size. A flap at the top prevents the needles falling out. This would be an ideal gift for your mum or a special friend. Made from quality quilting fabric with a contrast lining, and tied with a corded ribbon. 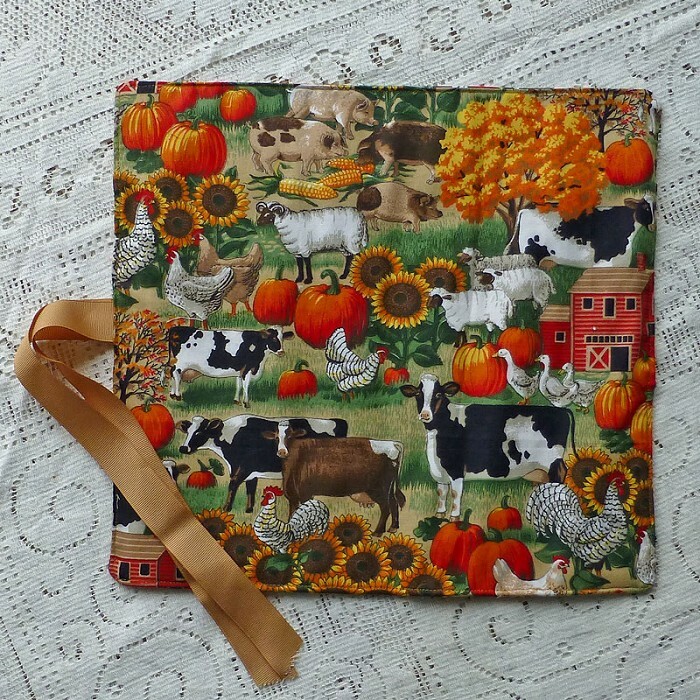 This listing is for the farm animal needle roll with sunflowers and pumpkins fabric. Contact me if you prefer those in the other photos. I'm also happy to custom make in your colour choice. Just email your preference and I can show you other fabrics. The needles and accessories pictured are not included. Thank you for visiting my store. 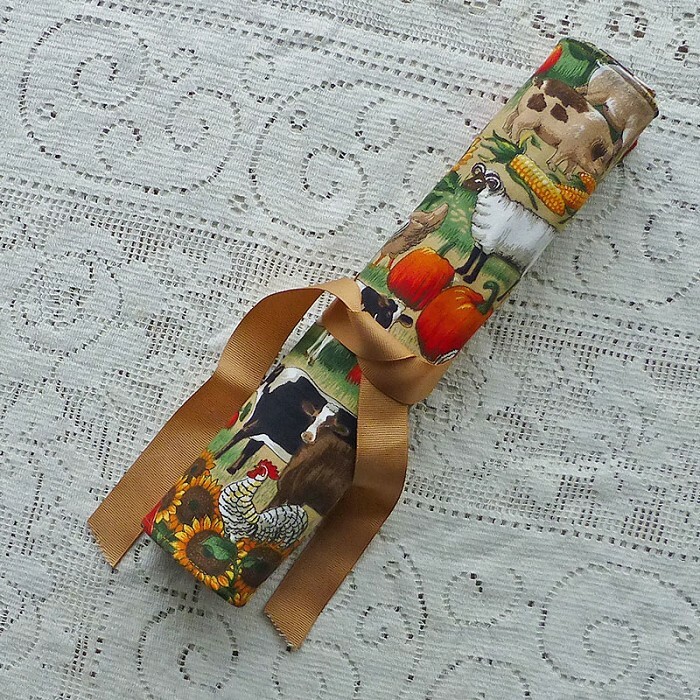 I have many more gifts ready to list, so please browse again.